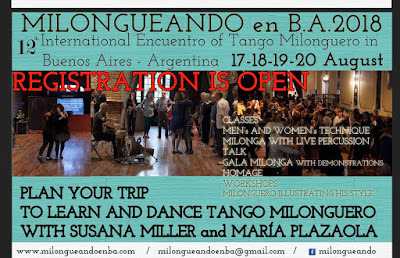 Milongueando is a fabulous opportunity to explore the roots of tango and to practise the skills of traditional tango. By all means check out airfares online... then we recommend you check with a travel agent before you book! What you see is not always what you get! Just discovered this this fabulous Youtube channel based in Buenos Aires showing tango at is best. Stylish, musical and eminently watchable ... a great way to improve the do-able! Last minute! This Sunday, January 28, Orquesta La Luna is performing at the Camelot Lounge in Marrickville. "Five extraordinary musicians, each with their own performance careers, have committed their talents to delivering uncompromising passionate performances of some of the most loved tango dance repertoire ever conceived. Orquesta La Luna will feature the instrumental and vocal legacy of such icons as D’Arienzo, Tanturi, Pugliese, Piazzolla and Troilo. Dancers and listeners alike can expect to be swept to the Golden Era of tango in the streets of Buenos Aires where bittersweet maladies of love and life are entangled with voluptuous artistry. Tango dancers will be pleased to know that the repertoire has been curated to augment your dancing experience." 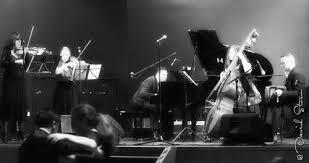 I just love it when I hear a new piece of tango/vals/milonga and I fall in love with it. This happened on the weekend when I heard and danced to the Australian Tango Festival Orchestra's faithful transposition of Miguel Calo's 'Suena'. Owen Salome of Tangalo and The Australian Tango Festival Orchestra must be given the credit for this. I have always been a Calo fan and his singers including and Raul Beron and Alberto Podesta are magic. Alberto Podesta performed and recorded more songs with more orchestras than any other tango singer and his recordings with Calo are outstanding. Unfortunately I don't have a recording of the ATFO playing 'Suena' but I did find it on youtube.